Aimed at keeping Twitter a safe and spam-free place, the company has announced policy changes, effective from March 23, 2018. Since one of the most common spam violations is multiple accounts usage, Twitter now prohibits simultaneously posting identical or substantially similar content to multiple accounts. To comply with the updated policy, we had to make the respective adjustments in our Social Media Poster, the automation tool for managing Facebook, Twitter, LinkedIn and Instagram from one tab. How does this affect Social Media Poster? 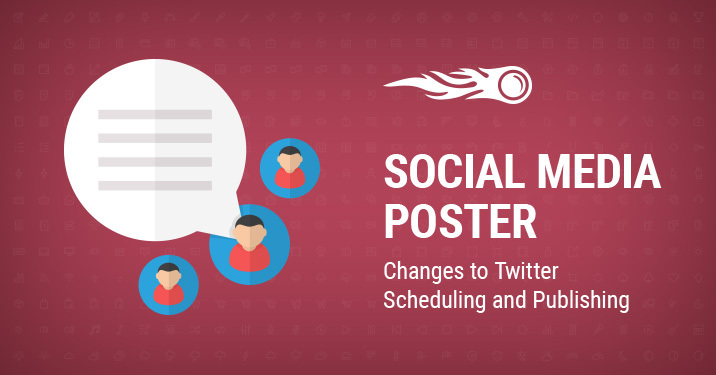 We have blocked the feature of sharing the same content from different Twitter profiles at the same time, so Social Media Poster now allows you to schedule and post tweets using only one profile at any given time. As an alternative, Twitter suggest that you retweet content from one account from the other accounts you wish to share that post from. If you’re new to Social Media Poster, try the tool and save your time using just one tab for all major social networks. Should you have any feedback or ideas on how to improve the tool, drop us a line at [email protected]. Let’s make the web a better place together!